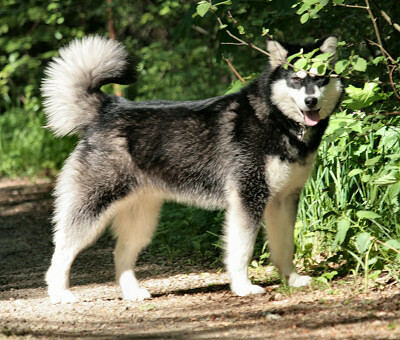 Yazhi was our own offspring from Yepa's and Yaykaas's accidental litter, born in September 2010. Yazhi's official name was Tsaani Hey Uyaraut, where Hey means winter and Uyaraut diamond. Calling name Yazhi is Navajo indian language and means "Little one". Yazhi was registered in EJ-register, because parent's didn't fill PEVISA-regulations and she cannot be used in breeding. Litter was very even and it wasn't easy to decide, which one stays at home. Eventually Yazhi "sold" herself to us and she stayed at home. Yazhi was very beautiful female. She had good proportions, strong bones and body, balanced angulations, excellent coat and she moved really well. Her temperamet was little bit shy, but she is very energetic and nice. She gave also promising glimps of working abilities, but unfortunately she didn't come along with our other dogs and she wasn't good team dog. In shows Yazhi had been 2 times BOB-puppy and year 2011 Specialty show she was Baby-class (5-7mo) best female puppy. At malamute specialty Show 2013 she got Open Class Excellent, CQ and was placed 3rd in Open class. 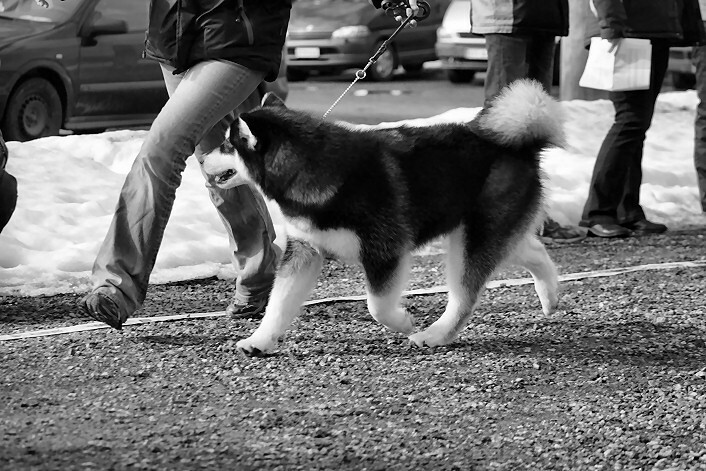 Yazhi did participate couple race-events: In Alma Karelia Challenge Yazhi participated junior's cani-cross-class with Jere and they were placed 2nd in total competition and same time they won Malamute Championship. 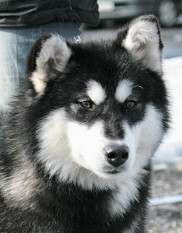 First sled race was Kasari Salpasäpinät 29.1.2012, in 4 dog class (2 x 6 km), where Yazhi placed 2nd with Yaykaas and Yona. First official working resut, REK3, Yazhi got at Kasari Salpasäpinät 3.2.2013.